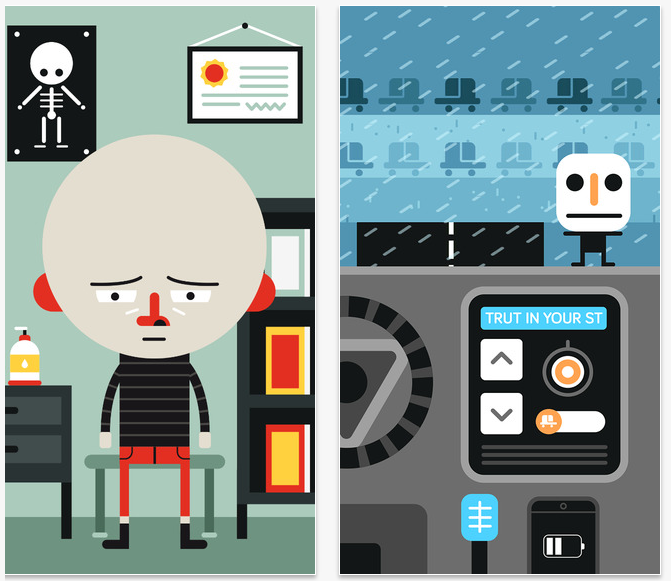 The app has been designed as an interactive fable that invites its users to explore the concept of wasting time. 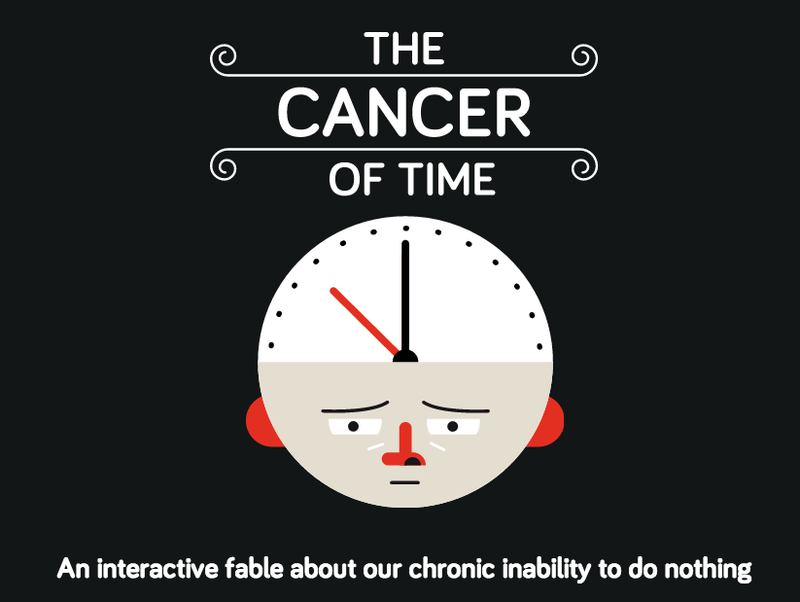 The fable contains five scenes: Stopped Time (doctor’s office), Private Time (sleepless night), Dead Time (in the car), Pass Time (family dinner), and End Time (diagnosis and treatment). Each approximately 15-minutes long scene explores our inability to do nothing by examining using the devices that are often used to fight our boredom. 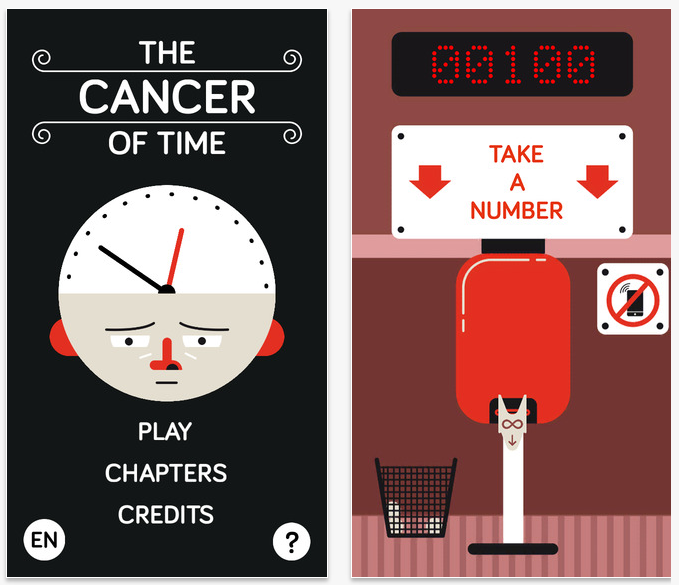 The Cancer of Time is available as a free download from the App Store. 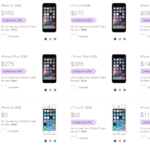 The app requires a device running iOS 6 or later and has been optimized for the iPhone 5.